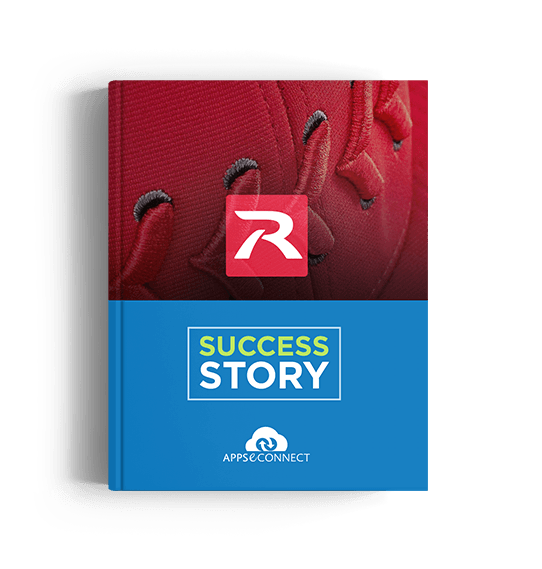 Richardson Sports listed 7500+ SKUs on their website from their ERP via APPSeCONNECT, thus, maintaining an efficient business process. Richardson Sports Inc. was founded by the Richardson family in 1970 and is recognized as a leader in the team headwear industry and markets a full line of high-quality headwear products to thousands of accounts around the world. Richardson distributes their products only through authorized resellers. With approximately 8,000 active customers all around the world, Richardson Sports has one of the largest lines of business operations in their vertical industry. They wanted to have an online portal with B2B capabilities - they used Magento as their eCommerce storefront and SAP Business One as their back-end tool. They were in need of a smart integration platform that could seamlessly connect all their applications to facilitate their business growth. ​They needed an integration platform to seamlessly connect all their business applications. Need of a customized B2B business module. Sync of all order of E-commerce store into SAP ERP. The stock of products had to be updated into Magento in real time from SAP. Sync lead times for out of stock items from SAP to e-commerce. Ability to show different users different discounted prices. ​​APPSeCONNECT created separate Distributor company account, company admin account, company contact person account and Richardson Sales rep accounts in Magento from SAP. Customer specific pricing is maintained in their ecommerce portal from the ERP. Automated synchronization of the item information to Magento from ERP system. ​​7,500 active SKUs were listed in Magento. Team Sports Caps, Collegiate Licensed Products, Headwear Manufacturing, Private Label Headwear, Embroidery, Uniforms, Hats, and Promotional Headwear.